The healthcare and medical domain has emerged as a booming industry in the past decade or so. The ever increasing effect of poor health and lifestyle diseases that have been channelized as a result of a modern way of living has called for more space for medical and healthcare needs. To keep up to this new and emerging epidemiological challenges the medical and healthcare industry has to be on their toes concerning research and development as well as the service of the public. The industry houses a wide range of professionals that include medical practitioners like nurses, doctors, and pharmacist along with a host of non-medical personnel like managers, assistants, co-coordinators, etc. Dedicated medical recruitment agencies cater to this vast and diverse manpower needs of medical and healthcare domain firms. Medical recruitment agencies work as a one-stop shop for all kinds of recruitment and staffing needs that medical and healthcare establishment/firms float. Alliance recruitment agency has been working in the domain of medical recruitment since long. Having placed many candidates with our clients spread across India and abroad, we commit to offer you solutions that are in sync with your needs. We cater to the needs of both the job seeker and the employer through our service delivery. Medical recruitment consultants are specialized agencies that offer quality consultation solutions in regards to the management of human resource and their recruitment. These agencies also provide assist concerning chalking out effective Human resource management and productivity enhancement strategy when asked for. Many medical recruitment agencies offer consultation services as a part of their comprehensive service package. At Alliance, we offer our clients that option to avail quality recruitment consultation services as a part of their recruitment/staffing solution package. The recruitment in the medical domain requires experts and specialized personnel to take on the task of inducting new candidates. Since the responsibility entrusted on the back of professionals from this domain is directly linked to the service of the public, it becomes important to bring the right person on board. Medical recruitment specialists or medical recruitment agencies, houses domain specialist recruiters who have been part of the respective industry so, that best possible solutions can be extended to the clients. You can lay your trust on the service capability of veteran recruiters at Alliance recruitment agency. Our satisfied clients stand as a testimony to the claims of our quality service delivery. Medical recruitment services much like any other services are outsourced by firms from specialized agencies so, that they can focus on core functioning at a day-to-day level. Now, to hire the services of medical recruitment agencies is not only for the sake of saving time and resources but for the assurance of getting dedicated support and quality manpower on board. Moreover, these medical recruitment agencies offer a comprehensive solution with the flexibility of choice to pick solutions that suit best to the needs of the firm. With Alliance recruitment agency as your recruitment partner, you can rest assured of getting value adding manpower on board. Medical office recruiters are hired to recruit the non-medical office and administrative staff. The services of medical office recruiters are also offered by professional medical recruitment agency as a part of comprehensive medical recruitment solution package that they offer to clients. Alliance recruitment agency brings to your dispense number of customized and need-based recruitment solutions. 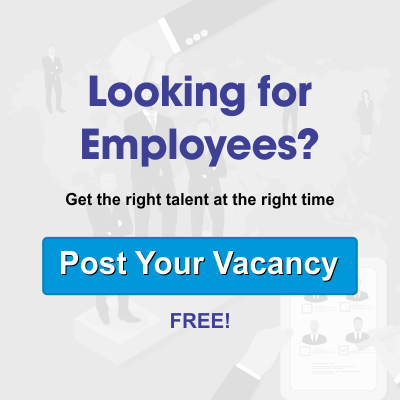 Jobseekers looking for job opportunities in the medical and healthcare domain and medical establishments looking for comprehensive manpower solution services can visit our website https://www.alliancerecruitmentagency.com and register their inquiry.